So you have a great idea for a blog post. But are you making sure it is a complete blog post? What do you do first – plan your title or write your post? What about keyword research and images? Well, there is no hard and fast rule on this – some bloggers will tell you they always write the title first, others will say that is always last – truth is, it’s all a matter of preference. As far as keyword research – first – always first – before anything! Ian Cleary has written many great posts about this, including this one – I definitely recommend checking it out! Images – well, another personal preference. I’ll usually start looking when I start the post, but then as I write I’ll think of new ideas for images to break up the content. Once you have found your keywords, you will want to make sure they are strategically included in your blog post. Your meta description is what will show up in search results. I use Yoast SEO plugin, which provides an area to edit this information. If you do not edit this snippet, the search engine will pull the first line or two of text from your blog post to use. You’ll want to set your focus keyword first, then edit the meta description to a more enticing description while including the focus keyword. This should be between 135-160 characters. Make sure you are not using the same focus keyword on other blog posts. This is a lot like the meta description but usually a bit longer. The excerpt will tell your readers what your blog post is about, only this will show up on YOUR website instead of in search engine results. Generally, these will show up on archive pages (either your main blog page or a page that shows posts by category or tag). Speaking of…you’ll want to make sure that you have your categories and tags set for each blog post. You can read more about that in my post, So Just What are Categories and Tags? Do you notice how I have broken up the content of this blog post into smaller paragraphs? Smaller chunks of text are easier to read – and make it more likely that your reader will actually read your content! Also, breaking the sections up with headings and images helps the eye to navigate the post. As far as headings – remember this: the blog post title will be formatted as an h1 (heading 1) tag. This is the most important and there should only be ONE h1 tag in a post or page! The h2 tag is next in the heirarchy – this is what I have used for my paragraph headings. Any subheadings (like this “headings” section) would then use the h3 tag. There are times when you will want to link to either another page or post on your own website, or an article on another website, to supply additional information for your reader. I have used both types of links in this post – one of each – to supply you with more information on both keyword research and how to properly use tags and categories. This type of linking can be helpful, just as long as you do not overdue it. A post full of outbound links is not only distracting, I find it downright annoying. Ok, sorry, I’m going to be annoying here – one more link to show you my thoughts on too many links – ironic, right? My contribution to Website Magazine’s article “Most Common Digital Design Distractions”. Ok, so technically, a CTA (call-to-action) is a link – a special link that is asking your website visitor to perform a specific action. Examples are: signing up for an email list, filling out a contact form, commenting on the post, making a purchase… My CTA is right below – offering you a bonus checklist so you can be sure and include all of these important elements in each blog post you write. Last but not least, don’t forget to SHARE your blog post! Tweet it, post it, put it in your email newsletter – whatever way you choose to do it is fine, just get it out there! And make sure you have social share buttons on your website so that your visitors can share it too! Oh, one more thing…length! Bigger is NOT always better! Keep your post to 500-800 words long. I’d love to hear about other steps you take to optimize your blog posts! Please share in the comments below. Great explanation of this, Mindy. SEO is Greek to me, but you make it sound simple. Great, simple outline on how to best set up a blog post for SEO. I really like Yoast SEO, too. It makes it so simple. I do find it difficult, though, to have a different focus keyword for every post since my overall topic is health. There are only so many variations. Yes, especially if you blog a lot, Carol, finding distinct keywords can be challenging. I really love how easy Yoast is to use also! Wonderful advice in this, Mindy. I’m only just getting the hang of keyword research and realising its importance when it comes to SEO. I’m glad you found it useful, Tamuria. Cool Mindy, thanks, and I think I already follow most of these steps. 🙂 What plug-in did you use for the CTA at the end? Yes, you do, Katarina! 🙂 I use opt-in monster for the CTA. Thanks for all your step-by-step tips in this post, Mindy. I’ve been hearing that longer blog posts are back in fashion…1200 words is the length I keep reading about, which makes me happy, as I tend to have a lot to say and write longer pieces. You are very good about breaking up your content, Beverly, as well as writing interesting pieces, so I’m sure you’re fine with your longer posts. Great reminder of course using the Yoast plug in helps you get all this right. A lot of people could benefit from this, i am going to tweet it. Thank you for sharing this, Sonya! Thanks for the great explanations on all and especially about the tags. I do most of this and can better. Thanks, Teresa. Great to hear you are already doing these things! So much great information! I am doing bits and pieces correctly, but need a road map to continue to move forward. And, now I have that map. My gurus have told me that 600 words is about what you need to establish your credibility as an authority on a topic and that makes sense to me. Follows right along with your guidelines. I did not know you needed only one h1 tag per post. Thanks! And BTW — super job on my website. Yeah, 600 is about right for something people will actually get all the way through! 🙂 We are all so busy… And thanks, Jackie, so great working with you! Awesome !! Awesome tips! I am pretty sure I follow all of these wonderful tips to ensure that my blog post is complete 🙂 Though I do need to work more on ensuring that my keywords are throughout my post…thanks so much for these awesome tips! Thank you, Joan! I’m happy to hear you are following these already. The keyword thing is tricky – when you’re writing naturally, you’re not thinking of keywords in the moment. Super tips… you took the basics and laid them out nicely… you trying to take over my realm? lol.. well done. Except.. don’t agree with the length.. longer is better for SEO. This is a complete checklist on blogging. For me, I also use a headline analyzer to make sure my topics create an impact to the reader. Yes, Lorii, headline analyzers can be a great tool. Mindy, great overview of what’s needed for a good post beside the content. I’ll have to go back and consider the font I’m using. A h1 heading is way too large and I use the better visually sized h3 for my section headings. Also, great tip to include your keyword in the last paragraph. I’ve not been paying attention to this. Joyce, you can resize the heading fonts so that they work better for your website. Make the h2 tag whatever size the h3 tag is and reduce the size of the h3 tag… down the line. 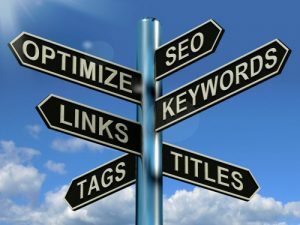 This way you are using the SEO appropriate tags for each section. Let me know if you need help with that – I’d be happy to change them for you.